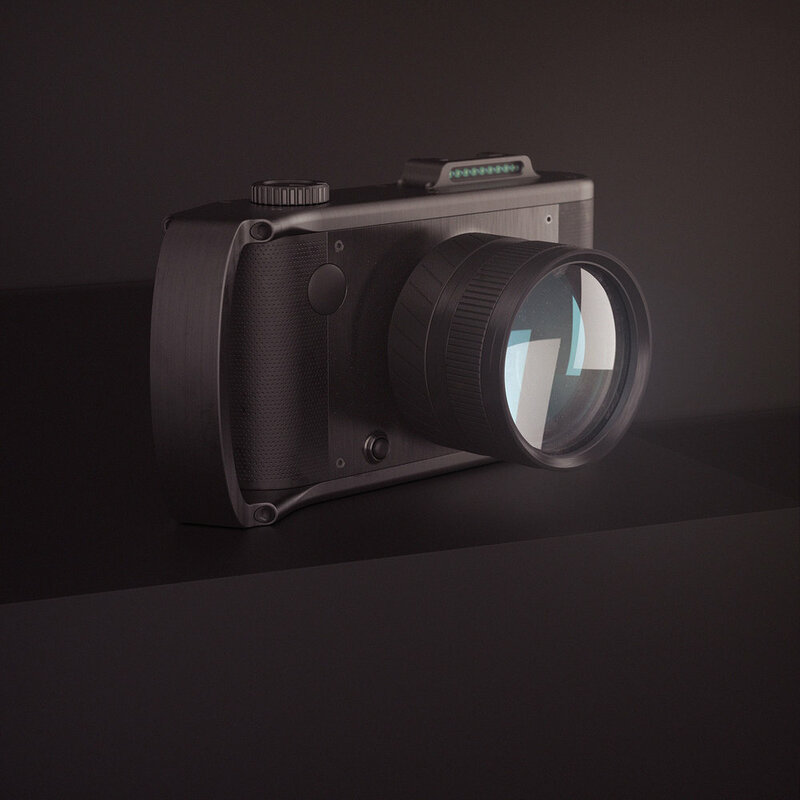 Snap is a compact mirrorless digital SLR camera made of high-quality anodized aluminum with an eye-catching silhouette and clever built-in handle. While training customers how to use KeyShot, it's customary for Luxion to provide 3D models to be used by the instructor (me) and the the trainees. Shortly after I joined Luxion in 2016, I designed this model to use when teaching groups how to use KeyShot 6. The goal was to find a balance between complexity and simplicity as well as include plenty of visually interesting details without making an unnecessarily heavy model. This way it could be used by trainees of all experience levels and on nearly any computer. After sketching out a design I was happy with, I blocked the model in using SolidWorks. I went back and forth between SolidWorks and KeyShot to validate my design and surfaces as well as the assembly structure. There was a particular CAD assembly structure I needed to abide by in order to make the model ideal for teaching KeyShot best practices with. This was a challenge because I was never taught how to create distributed designs and proper CAD assemblies. In the end, I learned a lot and felt rewarded by the results. Just like the drone I model I created for teaching animation, this model has served its purpose and been used by hundreds of professionals to learn how to render in KeyShot. I learned much about best practices when it came to modeling assemblies in SolidWorks.